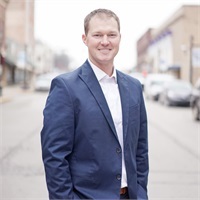 Jarrod McKee, a graduate of Indiana University’s Kelley School of Business, holds a bachelor’s degree in Finance with 8 years of experience as a representative. Jarrod is registered in general securities with Royal Alliance Associates, Inc., and is an Investment Advisor Representative with them as well. He is also licensed in Life and Long-Term Care insurance. Jarrod, a native of Wabash County, resides in Wabash with his wife Heather and three children Camden, Carson and Collins. Heather is a teacher at O.J. Neighbors in Wabash. Jarrod volunteers on a state and national level, raising awareness for a rare genetic disease, Cystic Fibrosis through boards with Riley Children's Hospital and Vertex Pharmaceutical's patient caregiver panel. Jarrod and Heather also started a 501 3(c), 2 Lungs 1 Fight to help families with who have children with Cystic Fibrosis. Jarrod volunteers in the local community by serving as a mentor for Kids Hope. He also coaches baseball in the Wabash Little League organization and heads the Wabash Junior Apaches basketball as well as volunteers in the YMCA basketball youth program. Jarrod just finished his 6 year term on the Honeywell Golf Course board of directors as well. "My top priority is to give back to the community that I grew up in, but more importantly to the youth, which is our future." Jarrod lives by the anonymous quote, "Time is the most precious commodity out there. It's the one thing you can never buy or ever buy back."